The biggest constraint with a warehouse is the exact space it provides. Therefore, you can first reduce costs by saving space and changing the way your products are stored. Reconstructing shelving units, bin sizes, and container areas can be the start of freeing up space that may not be maximized presently. Having an organized system of storage is also important in saving time during processing or order fulfillment. Knowing where things are in the warehouse allows for easier and quicker access to your products, and thus a quicker handling process – saving you time and money. Sometimes that may mean taking a fresh look at your inventory system or software as well. If it's more than 10 years old, it probably needs revamped on some level. The warehouse is not just for storage; it also needs to protect your product supply. While increasing security and/or protection may seem like an added expense, it will certainly pay off in the rare occasion of an attempted burglary or unforeseen incident that might cause damage to some of your inventory. Speaking of seemingly unnecessary costs, there are many things that you may pay for that you really shouldn't or possibly don't even need. 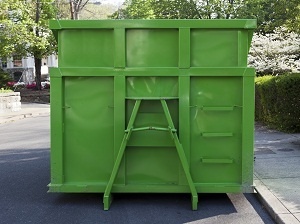 For example, if you're paying a third party to handle all of your solid waste, you could largely benefit from investing in your own on-site solid waste disposal system. You could also develop a way to separate some of your recyclable waste into containers that can be reused in some way – some of which you could make a little money on through a recycling center. Technology is increasingly dominating the way people do things, but don't think that's a bad thing. There are many pioneering technologies that are intended to boost efficiency, so it may be well worth it to invest in higher tech for your warehouse set-up. Your warehouse, or storage space, is a vital part of your business because it is the central hub where your product is directly handled, processed, and sent to consumers. However, while the warehouse is important, overspending on warehouse-related costs is not necessary. With the above tips in mind, you'll be on your way to optimizing your business into the future.